The Ohio Academy of Family Physicians is a statewide professional association of more than 5,000 members, including practicing family physicians, family medicine residents, and medical students. Since 1948, the OAFP has represented the professional interests of Ohio family physicians, provided postgraduate medical education, and encouraged medical students to enter this field and to advance the patient-physician relationship. The OAFP is one of the largest, most active chapters of the American Academy of Family Physicians. 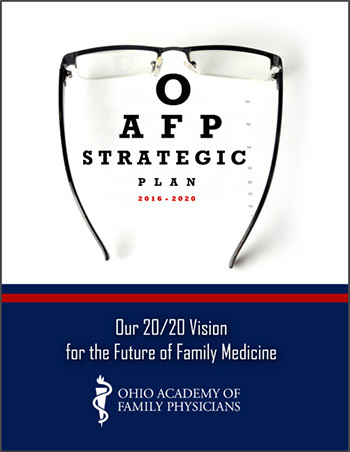 The mission of the OAFP is to improve the health of patients by advocating for and advancing the specialty of family medicine and providing valuable solutions to the diverse needs of members. Be a model organization on the regional, state, and national level through visionary leadership. Our work is guided by fundamental values that inform what we do and guide our work. Leadership: We believe that visionary physician leadership is critical to influencing the future direction of health care delivery.